The Greater Dayton Volunteer Lawyers Project (GDVLP) and our volunteers have helped provide excellent legal services to the less fortunate in the Miami Valley community. Without the aid of volunteer attorneys our clients would never have a chance for justice in our legal system. So join up with us and be a hero to someone in need! Not sure if you have the time or skills to volunteer? We have programs with all levels of service, training opportunities, and can work with your scheduling needs. Whatever your goals, personally or professionally, we can help you achieve them. Is your goal to gain experience in the courtroom? You can speak with a group of clients needing simple divorces about their situation. Our trained personnel will generate all court documents needed and schedule the group in court at the same time to get you that experience. Or you can take a 1:1 representation with a client. If you'd like, we can place you under the mentorship of an attorney experienced in the area of practice. Do you want to gain experience in a particular area of law? Our primary areas of focus are: family law (divorce, custody, support, and visitation), consumer rights (bankruptcy and debt collection defense), housing (foreclosure and landlord/tenant), employment law, probate law (including wills and advance directives), and contractual and other disputes in litigation. Sometimes, small groups of clients can be scheduled at your convenience to meet with you in person at our offices for counsel and advice. Probate and employment law work well in this model. Do you like to manage your pro bono schedule? Our trained personnel can produce wills and other advanced directives on site in elderly client’s homes. These documents will be transferred to you. After that you simply discuss them over the phone with the client to insure their final wishes are covered. Sometime we do clinics in nursing homes and other group housing settings. Another option is our Rural Skype Clinics. 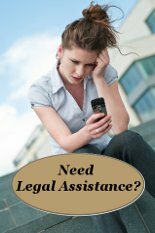 You can speak with clients from Champaign, Darke, Miami, and Preble counties and provide them with basic legal information. As we use Skype for these clinics, you can do pro bono and never leave the comfort of your office! In addition to the satisfaction of giving back to the community and the experience you get providing service to our clients, one hour of CLE credit is provided per six hours of volunteerism through the GDVLP, up to six credits per year. And, the GDVLP carries malpractice insurance that is primary for any matters taken through the agency ($500,000/claim).